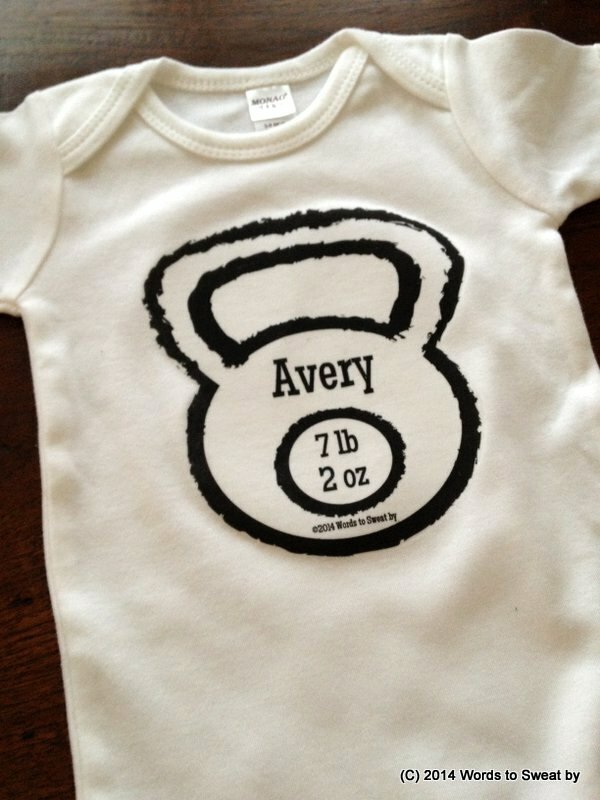 If you’re looking for a baby or toddler gift for the fitness fans in your life, this custom kettlebell bodysuit is the perfect fit! You can customize the bodysuit with the child’s name and weight and with the a great selection of colors (white, gray, light pink, or blue) this is sure to be the just the baby shower gift you needed or fun celebration of baby’s first year. Each bodysuit is packaged in a drawstring organza bag and accompanied by a “Swing my bell” 3.5 square gift card so it’s gift giving ready!